Ilfracombe is the jewel in the crown of North Devon. It needs a little polishing, quite a lot of polishing, but its natural beauty is undeniable and its community beats like a human heart. 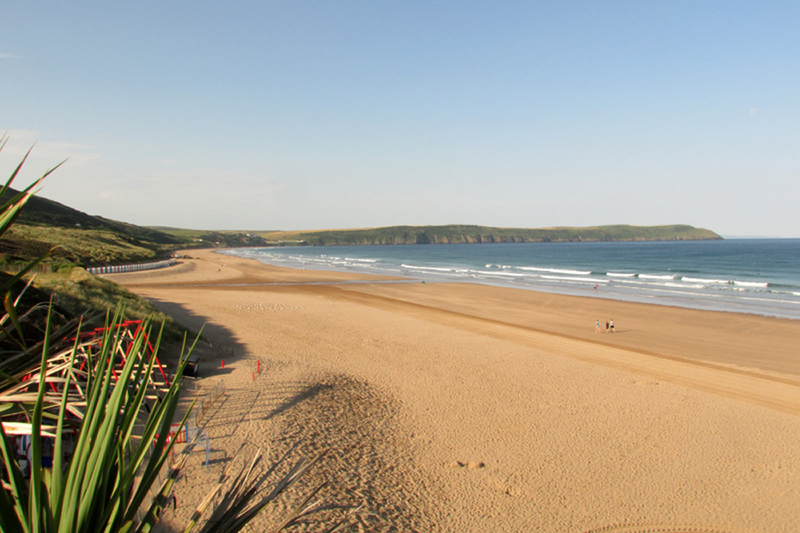 I paddled in the sea at Woolacombe again this morning, throwing a tennis ball for our dog, before starting work. What a blessed life. But it’s not always sunny. On wintry days, we’re struggling along the beach in wellies with our faces sandblasted by the wind. But still it’s a blessed life. We moved from South-East England to North Devon 14 years ago and I can’t think of anywhere I would rather live. That doesn’t mean that we left all of life’s problems behind. We still have many of the same problems as anyone else, but the compensation of the magnificent natural environment makes life a lot sweeter. Moving home usually involves swapping some benefits for others. Living within reach of London gave us access to so many facilities that we don’t have here, although now we have no traffic or aircraft noise and can lose ourselves in tranquillity. We didn’t know whether it would work out, but we went for it. I’m so glad that we moved when we did, rather than waiting until retirement. It means we can enjoy walking up the hills and over the dunes while we have the strength and energy. Some day when we’re less mobile, we’ll look back on these times fondly, but we won’t regret not having done anything. Longing for something and not taking steps to achieve it can sometimes take up more energy and effort in putting up with what we don’t want to find that all we are left with is regrets. It’s made me realise how important it is to do what we really want to do. It won’t always work out, but how will we know if don’t try to make changes?